if you need a return transfer! Private transfers are an efficient, relaxed and reliable mode of transportation. You can choose the vehicle type you need and wish. Private transfers provide door to door service with professional, polite and multilingual chauffeurs. From a certain number of people on private transfers often are even more economical than shared shuttle. Shared shuttle transfers are for individual travelers more economical. You can save money but shared shuttle are not as flexible and time-saving as private ones. Shared transfers follow a fixed time table to specific resorts only. Sometimes door to door service is not possible. For those who don’t mind about time it is a fine option. 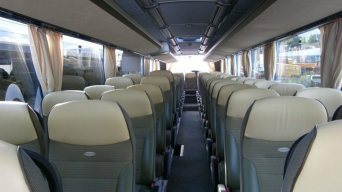 For groups from 9 persons we provide coaches of different sizes. On request snacks and beverage can be provided. For those who want to enjoy the premium luxury segment Premium Liners with lounge area, coolers for wine and champagne, SAT-TV and WLAN (to mention only some aspects) are at disposal. 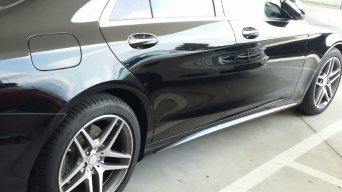 We provide elegant Mercedes Benz limousines (E-Class, S-Class), V-Class Minivans as well as Volkswagen luxury vans for your special comfort. Transfers to and from Salzburg airport / Salzburg train station, Vienna airport /Vienna train station, Innsbruck airport /Innsbruck train station and Munich airport / Munich train station. 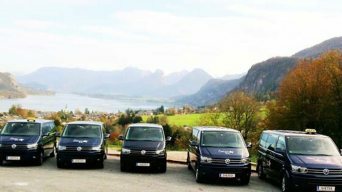 We are professionals in long distance transfers with multilingual drivers to and from Austria/Salzburg and Germany/Munich, sightseeing transfers to/from wherever in Europe and Europe Tours. For your special event, party, business meetings, convention and congress we organize and operate the transfers for any number of people with any category of vehicle. The Salzburg Festival, the Easter Festival, the Salzburg Whitsun Festival, the Mozart Week, Jazz in the city – great performances and elegant dinners should begin and end with relaxed transfers. Our multilingual drivers will show you the most important and beautiful sights and locations in Austria and Europe. Be it a private ski transfer or a shared ski shuttle to and from Salzburg, Innsbruck, Vienna and Munich airport – we will take you to all ski resorts in Austria, Germany, Slovenia and Italy. Almost everything is possible. Elegant limousines and also Rolls Royce and Bentley for the most beautiful day in your life. You would like to enjoy professional sightseeing? Our knowledgeable and experiences chauffeur guides will help you to collect many memorable impressions. We are an Austria-based registered company and in travel business since 2007. Starting with taxi & transfer business we are since 2009 also fully licensed as tour operator and travel agent. We not only provide transfers. With us you can book also professional sightseeing (individual travelers as well as private tours) and Europe Tours. We organize events, incentives and conventions. Copyright 2016, Austria Taxi Transfers. All rights reserved.